An Wrenches made out of aluminum and anodized so they don't scratch your AN fittings. MADE IN THE USA. 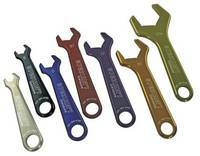 ANLW-20 AN Line Wrench -20 2"
ANLW-20B AN Line Wrench -20b 1 13/16"